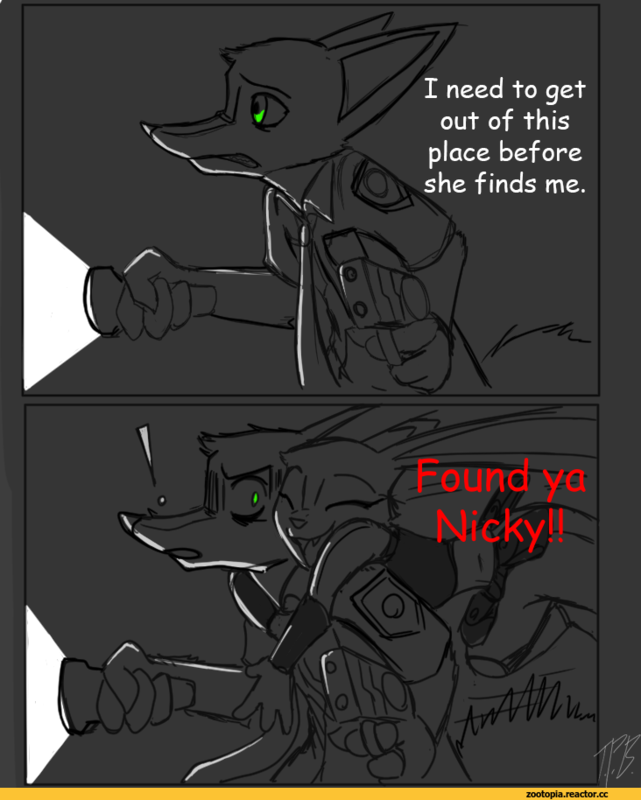 Nick wakes up after getting tranquilized. He’s surprised that he woke up inside the police car. He was cuffed at the back. Outside was dark probably night time and what appears to be the Rainforest District, and the car was parked in front of a large decrepit mansion overgrown by vines. 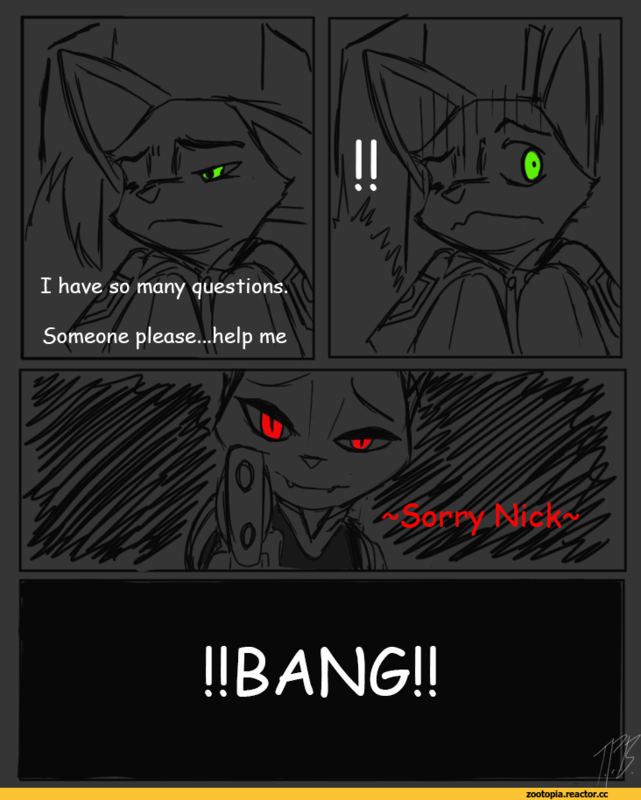 Nick felt his head ache and heard a familiar voice. 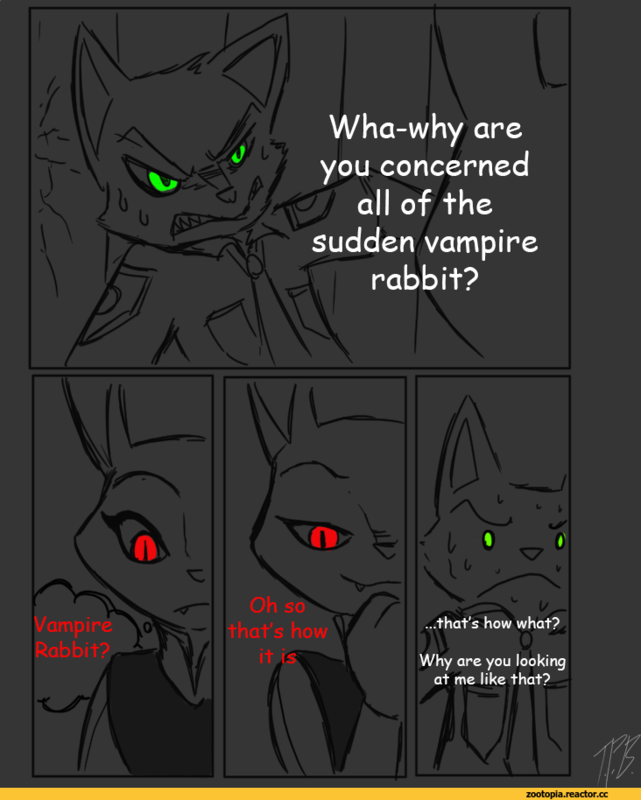 Nick sees the scarlet eyes of the vampire rabbit on the driver’s seat. 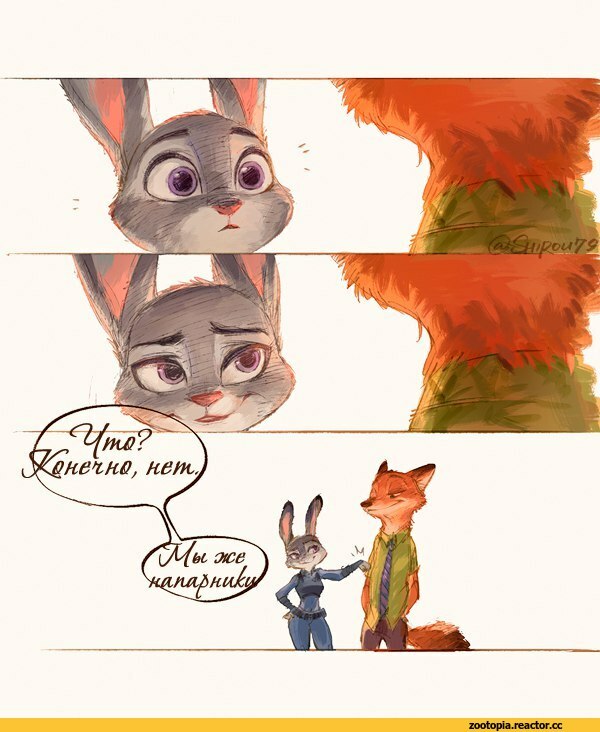 Nick sat down checking his neck for any bite marks. Nick looks over the windshield and see a buffalo on fire. It was Bogo but on fire! Judy explains that someone was creating hallucinogenics or fear toxins and intoxicated other animals. They were tasked today to arrest the criminal inside the building where he was holding up. The guy calls himself Scarecrow, even though it was just an animal in a costume. They did manage to get him but not after getting gassed. Alex and Nick were the only ones affected since their gas mask became faulty. He looks outside the window and sees that everyone are monsters. That is some powerful hallucinogenic. 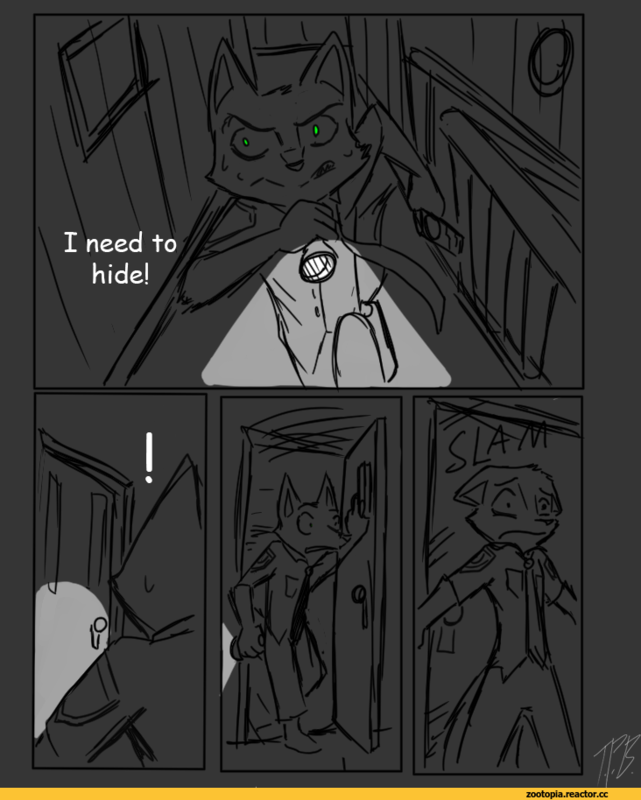 Well as long as Nick doesn’t freak out or run away then its fine. He just need to keep his cool. 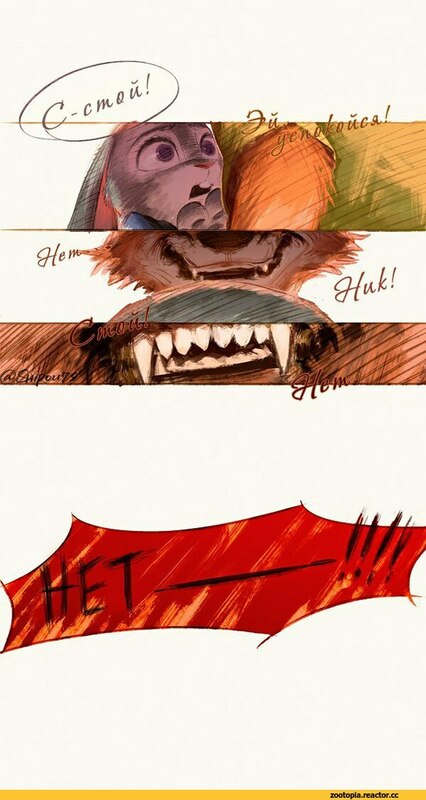 Then a whistling wolf with a very large set of teeth came to greet them. Alex pointed out at the ambulance parked out where Geno is lying strapped on the cart, yelling out : “ALL OF YOU ARE ALIENS!! THE INVASION HAS BEGUN!! SOMEONE HELP!!”. They placed a nuzzle on his mouth to prevent him from bitting and screaming. 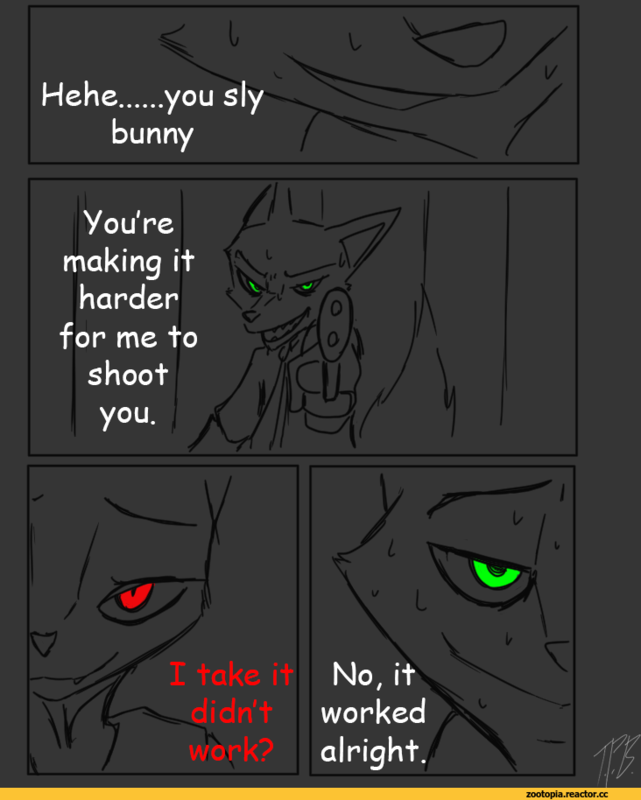 Nick seriously doesn’t want that to happen to him. They both laughed at their antics. 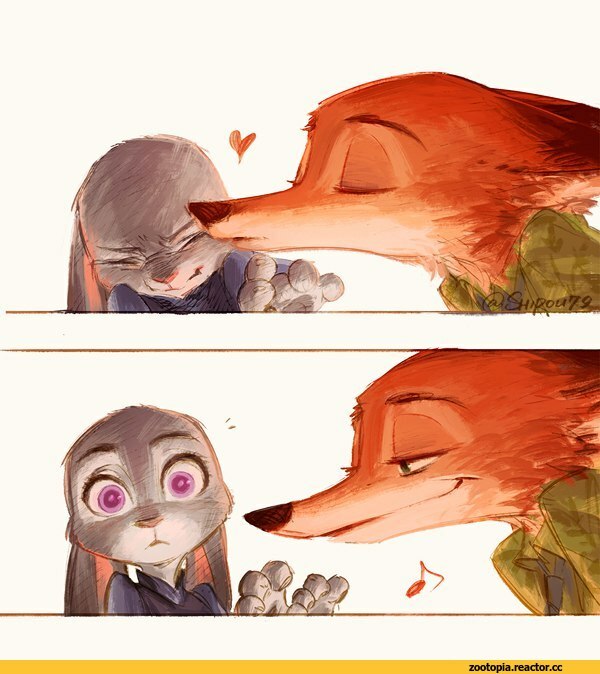 Judy frowned on how Alex treats his partner. 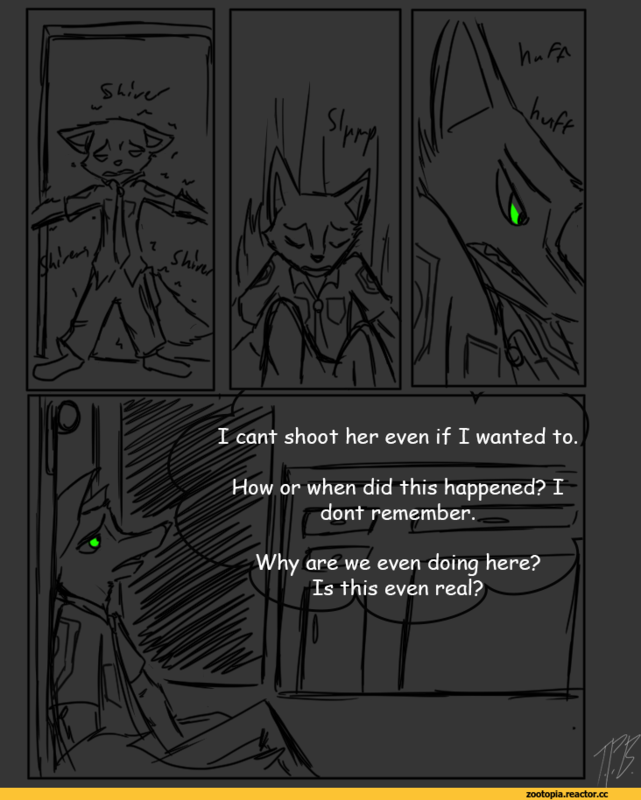 Nick doesn’t know whether or not he should believe her, but given the situation there’s no way to prove it. Everyone left the scene. 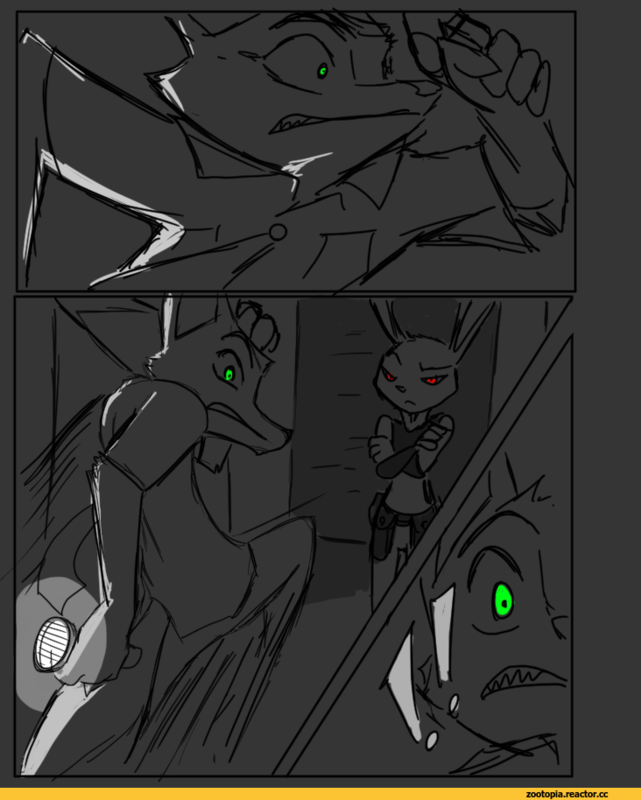 Judy followed the ambulance in front, she notices Nick looking really terrible. 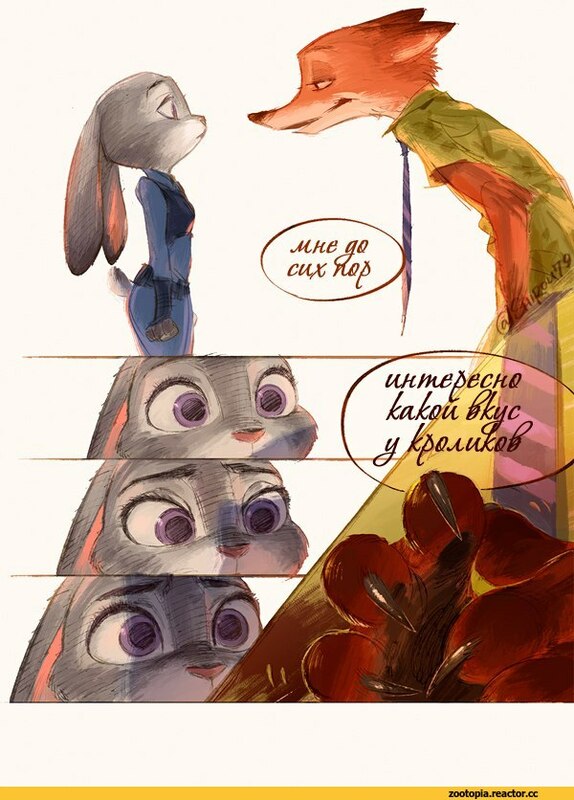 Judy: “So to you I’m now a predator, it feels very strange but I kinda like the idea now. 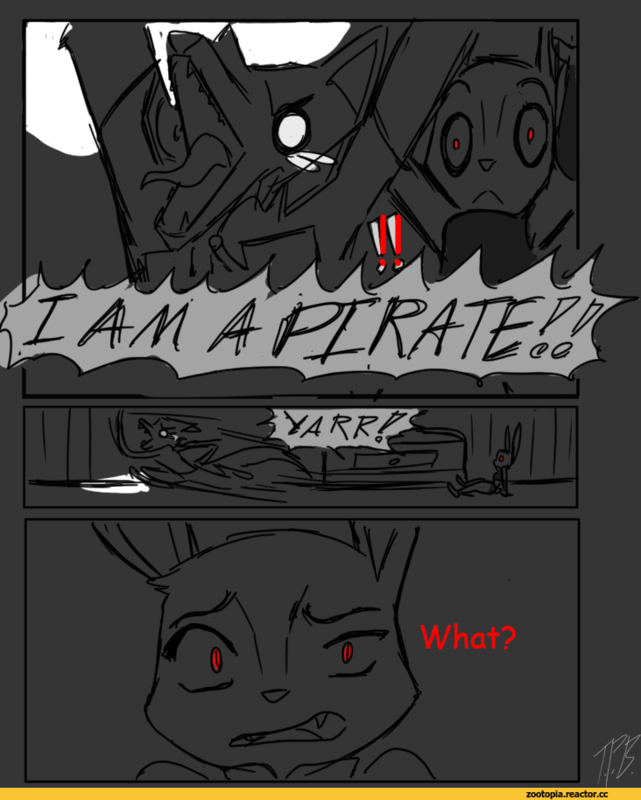 Fear me for I’am the vampire bunny muhahahaha!” Judy playfully waving her hand on Nick’s shoulder as he tries to wave it off. 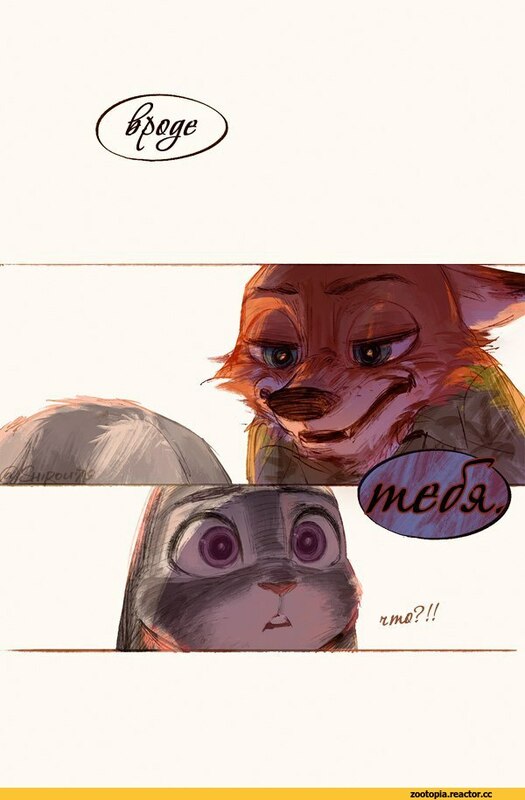 Nick looked at Judy with a scary smile. Judy got creeped out. 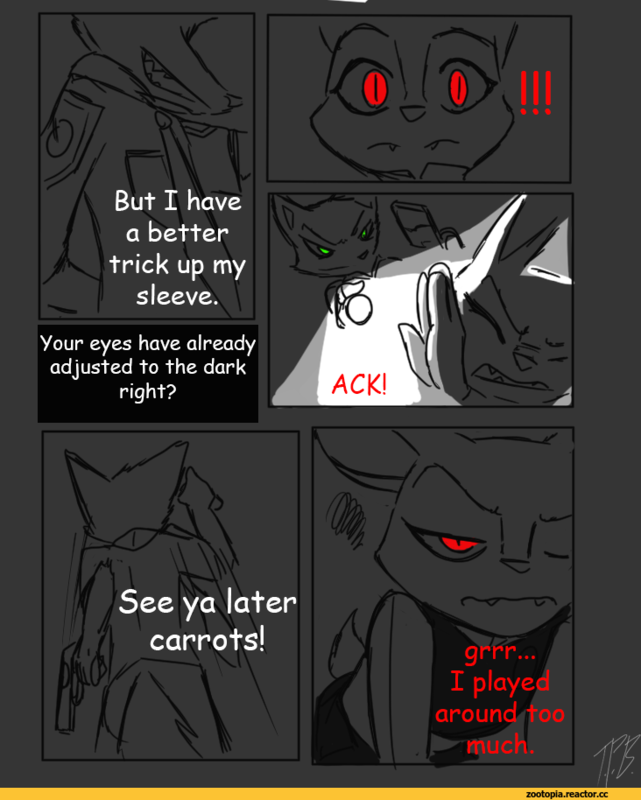 Judy: “Don’t scare me like that!” She hits him on the shoulder. Judy continues to drive, but she didn’t want the conversation to end. Judy pulls up at the parking lot and got inside the hospital with Alex and Geno who is still strapped in struggling to get free. The nurses told the other two to go to another section of the hall. 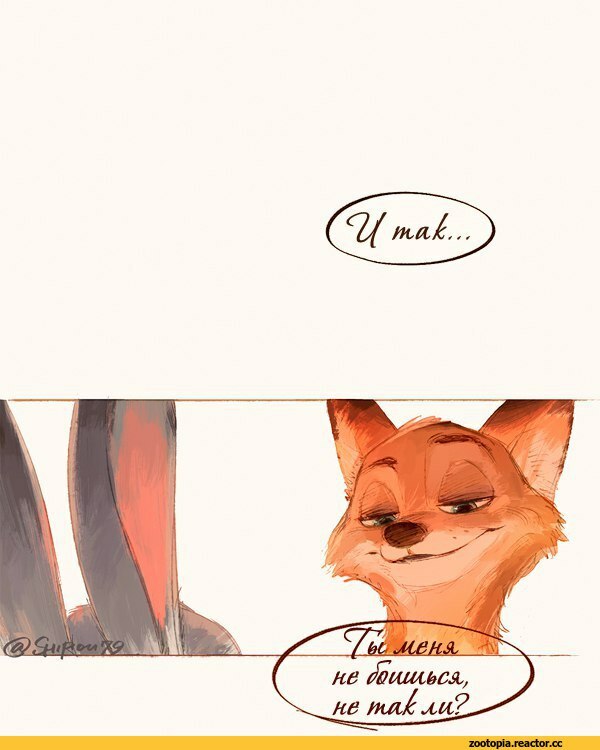 While Nick and Judy went into the opposite side. Heading into one of the empty rooms. The doctor arrived and checked on Nick. 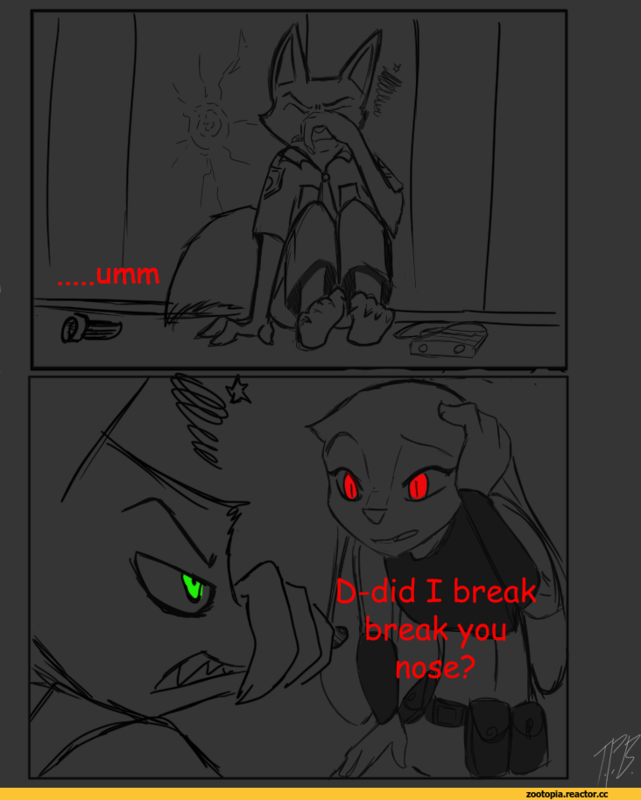 She appeared something horrible to Nick’s eyes since he’s making a disgusted face. What could he be seeing the doctor as? She said the hallucinogenic will wear off in a couple of hours so there is no need to worry. 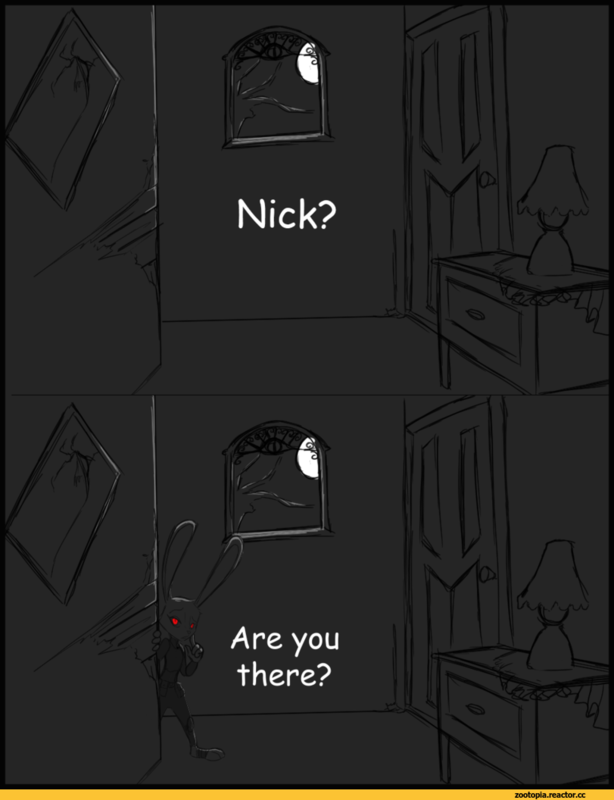 Judy leaves the room while Nick is in bed staring at the window seeing all kinds of strange things. Then his eyes adjusted looking at his reflection by the window. What he sees is something that he was used to be afraid off. 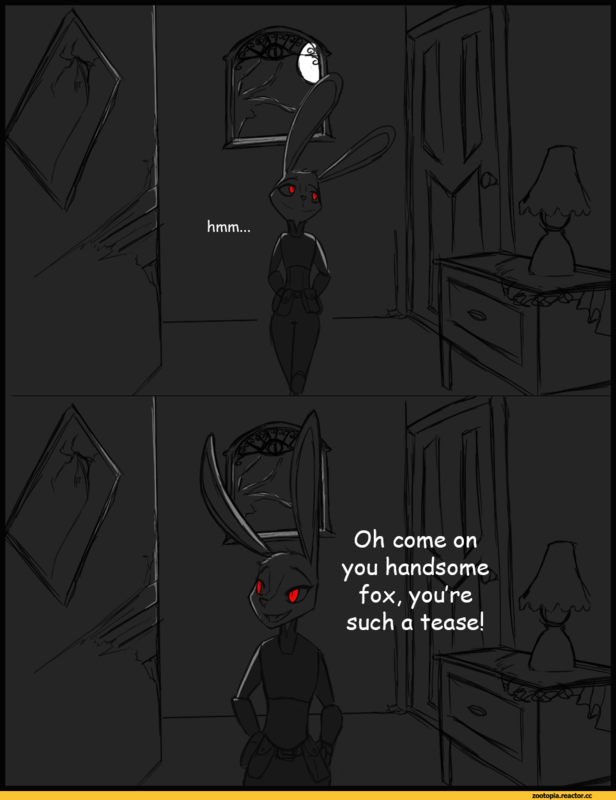 The one thing that scared him when he was a kid now appears as his reflection staring back at him. 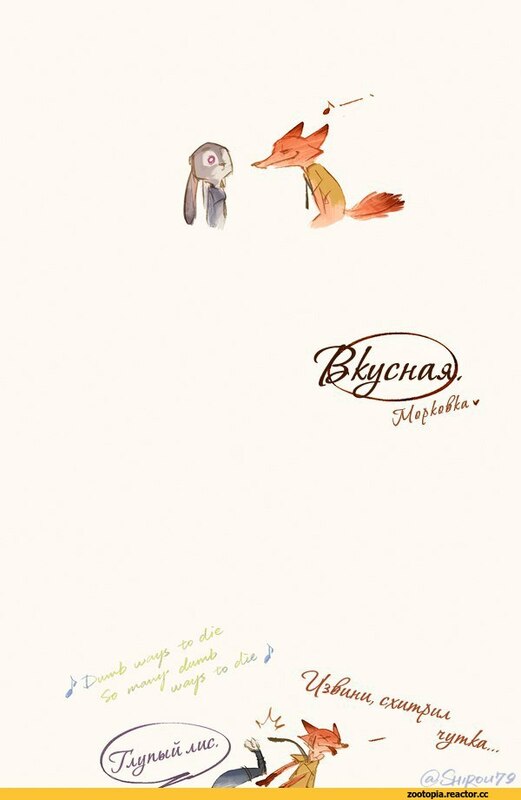 Приблизительный перевод, если кто то кто угодно может может перевести\вставить текст лучше, то оригинал в кометах.